The plan will mean no pylons on a stretch of the Grid West project. THE GRID WEST programme could be going underground. The national electricity grid operator will relaunch the contentious upgrade of the regional power network after a controversial plan to put pylons in the west. EirGrid will this week unveil an underground route for the Grid West part of the Grid25 project, with wires going under the road from Roscommon to Mayo. The 113km underground corridor will be assessed alongside the current pylon plan to decide which is preferable. The Grid West project is the largest Grid25 project in the west, with pylons projected to cost €240 million. It consists of a new high capacity power line linking the North Mayo area to a strong point on the transmission grid at Flagford, County Roscommon. Fintan Slye of EirGrid told RTÉ’s Morning Ireland that the plan would not disrupt towns. He said that the plan would use secondary roads to go around towns. He added that there was another plan that would compromise the pylon and underground plans. The cost of the undergrounding plan is not known, Slye said. He did say, however, that it is possible that it could be two or three times as dear as the pylon plan. He said that customers would pay for the infrastructure in their electricity bill. 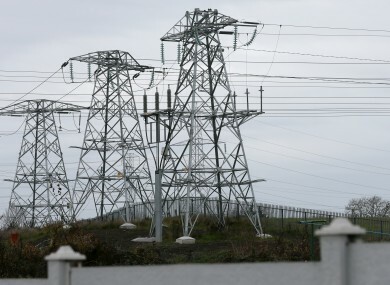 EirGrid will now assess both plans and submit them to a government-appointed expert panel. Email “Eirgrid to examine putting electrical wires underground”. Feedback on “Eirgrid to examine putting electrical wires underground”.